ActionWatch is a POS-tracking service for the Action Sports Industry with a focus on the independent surf/skate retail channel. All data comes from electronic reports submitted directly from retailers’ POS systems (i.e. their sales and inventory management software) so that each retailer is submitting accurate and unbiased sales data. 1) Retailers use their existing POS system to create monthly sales reports. 2) Retailers upload their reports to our servers each month. 3) Each report is translated into a universal naming and categorizing system using ActionWatch proprietary software applications and systems. 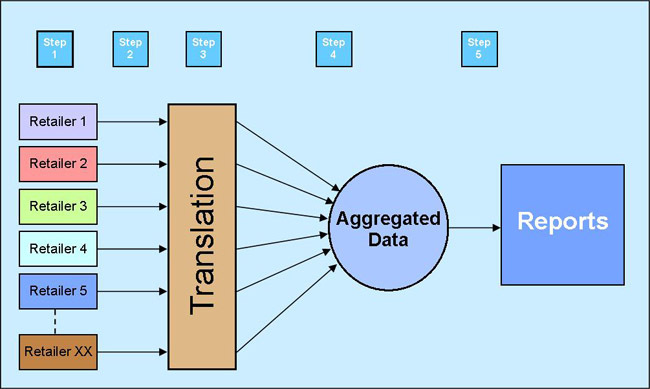 4) Translated data is merged into a single, national retailer database. 5) Aggregated data is sliced and diced by ActionWatch subscribers (custom one-off reports are also available).